I’ve been flying UAV’s or Drones professionally far longer than the recent drone craze. As a result I’ve accumulated some very valuable experience, trials, errors, and triumphs that are quite worthy to share with aspiring drone operators. Whether you’re a hobbyist, enthusiast, professional, or just generally curious, this info should be adhered upon at all times. I’ll be breaking this article up in two segments for the “Do’s” and “Don’ts” portions. Enjoy and safe flying. Treat your remote controller like the Army Rangers. First thing on, last thing off. Never turn your controller off in mid flight or while the drone is powered up, it can cause sync issues and worst case scenario, a fly away. Be sure to sync and/or calibrate your drone’s internal GPS compass before flight. This will enable “return to home” modes to be accurate and help stabilize the drone during flight. If you’re unsure how to calibrate, it often involves toggling the GPS/Manual switch on your controller about 6-8 times and then rotating drone on an X axis by 360 degrees until the appropriate lights change colors. Always check your propellers before turning on the drone. Run your fingers across each prop (while the drone is off) to insure there are no small nicks or divets. The slightest infraction in a propeller can cause a drone to drift or even worse fly erratically out of control. Upon powering up your drone, give your propellers a little throttle to warm them up and let them spin just high enough so that the drone doesn’t take off, but they’re moving pretty quick. Listen for any abnormalities and give them a visual check to make sure everything is operationally sound. 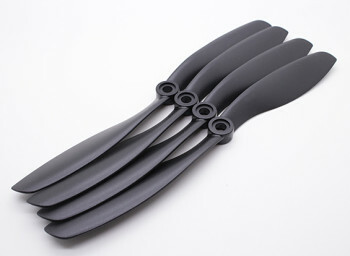 If you have self-tightening propellers (like most drones do nowadays) this also allows the propellers to secure themselves tightly on to the drone. Almost all drones have a “return to home” or “fly home” mode that automatically kicks in if the drone loses communication with the controller or simply gets too far away from the original take-off zone. Once this mode kicks in, it typically will stop it’s current direction, do a 180 degree turn, ascend about 60 feet up, and then very slowly fly back to it’s take off zone. Typically the drone will land within a 9 foot radius of where it originally took off, which is good, and sometimes bad, if you took off in tight quarters. 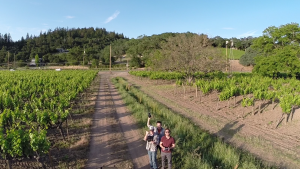 Learn how to over ride your drone’s “return to home” mode. Sometimes the safety mechanism will send the drone slightly off course and cause it to begin descending in to an un-ideal circumstance or area. By overriding this mode you can safely guide your drone back to your vicinity. Often times the override is as simple as toggling your drone from GPS to Manual mode with the switch on your remote controller. Always check battery life for everything that requires a battery, and then double check. Check your drones battery, check the camera battery (if applicable), check the controller battery, check the monitor/tablet battery. Electronics can be fickle and drain quick. If you’re flying in high winds, batteries can be drained slightly faster due to increase correction by the device, temperatures can affect batteries, there are many variables, always be sure to have everything powered up sufficiently. I highly recommend keeping a few extra drone batteries on hand at all times, nothing is worse than discovering epic scenery and not having enough battery power to capture it! You can purchase additional batteries here. Always begin your return flight once your battery life reaches 20%, if not sooner. 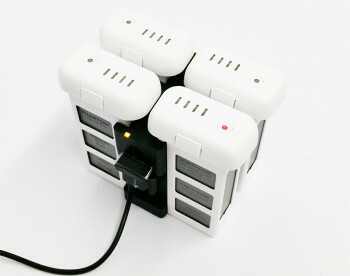 If you have to run down the battery afterwards for charging purposes then so be it, but never try to fly your drone all the way down to a few percent points of battery life, the juice can run out deceptively quick as it gets low. I’ve seen circumstances where the battery life shows 20% and then rapidly drops. Always keep your drone in sight. If you can, utilize a monitor on your controller or stationed on a tripod directly in front of you. This enables you to see first hand what the drone is seeing and always helps you to guide the drone back to your vicinity in the event that you do lose sight of it. If you don’t have a monitor, this particular monitor by Neewer is VERY good and I use it frequently. Be cautious with over zealous flight movements. Flying too fast and expecting an abrupt stop simply will not happen. Learn the speeds and stopping capacity of your drone in a subtle and safe way ahead of time so that you have a good understanding of the drones capabilities. Always be very aware of your surroundings and have a clear and open landing zone. Take note of any large structures, obstacles, or buildings nearby and avoid them. Also be very cautious of power-lines, they can often be incredibly difficult to see at only a few meters distance. 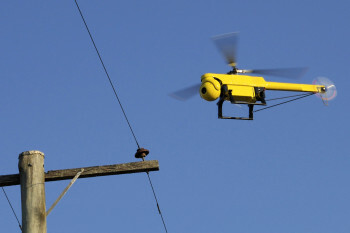 The further your drone gets away from you, the more difficult depth perception becomes so take extra caution if there any sort of power-lines around and avoid them. One of the potential laws coming in to play may enforce the mandatory permission to fly within 500 feet of people that have not volunteered to be near the drone operation. Regardless of the law, never fly close to people at a low altitude. If you happen to be in an area where other people may take notice or approach you, it’s best to avoid distraction and kindly let the individual(s) know that you need to focus on your flight and that you’re happy to discuss the drone after you’ve landed. Additionally, I recommend having a second person with you at all times if you are going to be flying in an area where other people may be present. This helps for communication and safety precaution. Most importantly, always be smart and safe with your flights. Check your equipment pre-flight, be courteous of others, and don’t do anything crazy. If you’re interested in shopping for a drone, check out some of the equipment that I use personally and highly recommend at our Drone Store with Amazon. Amazon has the absolute best prices and this is where I buy my gear. 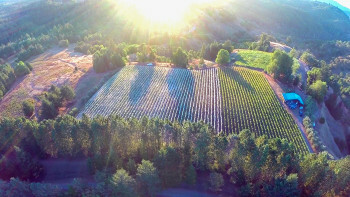 Aerial Photo Media Drone Store, Click Here.